The award-winning novelist takes us on some of his most memorable journeys in this collection of travel essays that spans the globe, from the Caribbean to Scotland to the Himalayas. Banks is simultaneously making an inner journey as well. Throughout the first half of the book, as Banks makes his way to and from each island in the Caribbean, he weaves the history of each of his three marriages into the text by recounting each relationship to Chase, the woman who will soon become his fourth wife ... Through his writing, Banks is able to recognize the links between many of his experiences, and comes to understand parts of his life as just that – experiences. What remains unresolved, however, is the contradiction between what Banks thinks he’s supposed to feel and what he actually does. He observes his environment and describes the people around him and then questions why he doesn’t actually feel remorse or awe or surprise. Banks may not. But in various places – throughout this moving collection of travel pieces that rise to the level of literature – readers surely will. The title story is the best in this fine collection, a novella-length account of the 60-day island-­hopping boondoggle he took through the Caribbean ... Self-flagellation mingles with moments of romance, and meditations on the slave trade, Caribbean poverty and the perils of overdevelopment. Looming over the journey is Banks’s desperate hope for rejuvenation in the tropics, a magical place of second, third and fourth chances. Voyager takes the reader on a global tour. It includes magnificently written reports from Senegal, Ecuador and Scotland, the Himalayas, the Andes and the Seychelles. It’s a notably personal work, too. 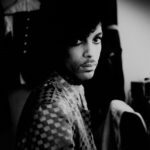 The lauded author of more than a dozen novels, Banks has never before published a full-length memoir. This introspective book goes a long way toward plugging that gap. 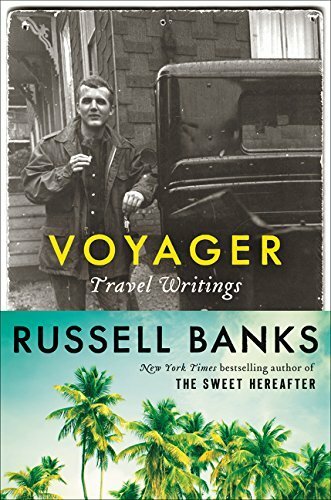 The best of these essays have an elegiac quality ... A nimble, if occasionally tone-deaf blend of autobiography, history and nature writing, 'Voyager' is his most personal essay, as Banks reckons with his choppy romantic past ... But look past his awkward self-justifications and you’ll find that Banks writes with erudition and depth about important subjects ... Though it spans six decades of Banks’ life, Voyager isn’t exactly a full-on memoir. Nonetheless, it’s lively and revealing, a worthy, if minor addition to Banks’ impressive body of work. What did you think of Voyager: Travel Writings?